Match odds from BetVictor show Weymouth as 8/11 favourites whist Marine are 29/10! Please be aware club officials and players cannot bet on football games. 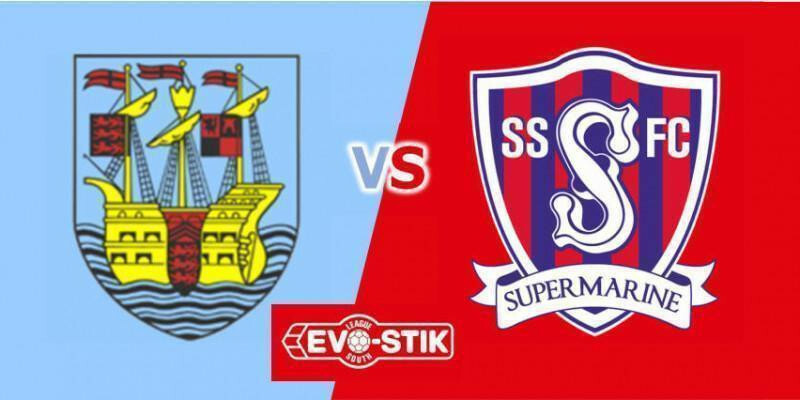 Swindon Supermarine head South on Saturday to take on league leaders Weymouth in a game where they will quietly fancy their chances against the Dorset high-fliers write Nick Taylor. Marine have posted some impressive away performances at sides in the top half of the league, recently holding Taunton Town to a 1-1 draw, after fantastic wins away at Poole Town, Harrow Borough and Metropolitan Police we will travel down to the Dorset coast in high spirits and a self-belief. Off the back of a confidence boosting 4-0 victory at home last weekend to Beaconsfield, Lee Spalding’s side will arrive to play ‘The Terras’ having drawn 1-1 back in October when the two sides met in Swindon. It was a match which Marine could and should have left with all three points. Conor McDonagh’s first half strike being cancelled out by Calvin Brooks towards the end of the first half, which was then followed by McDonagh having a second goal controversially ruled out for offside before Weymouth substitute Harry Baker was given a straight red card for an off the ball incident in injury time. Interestingly, only three of Marine’s starting line-up in that 1-1 began last Saturday’s home win to Beaconsfield. Weymouth sit top of the standings at present with 69 points from 34 games played, boasting the equal meanest defence in the league having conceded only 34 goals, along with second-placed Taunton Town, who’s recent slump in form has allowed Mark Molesley’s side to regain the top spot. The hosts, having only lost five matches this season, are currently unbeaten in the league for six games, although they suffered a 2-0 defeat at Poole Town in the Dorset Senior Cup on Tuesday night, in a game when various ‘fringe’ players from their large squad featured. Speaking ahead of the mouth-watering clash, Marine boss Lee Spalding was looking forward to the trip, “I’m quietly confident. It’s a good opportunity going to one of the title favourites. We gave a good account of ourselves last time we met, they had more of the possession but we should have really won the game! The encounter brings together two of the leagues hot-shots, with Weymouth striker Brandon Goodship leading the scoring charts on 29 goals and Marine’s Conor McDonagh in third position with an impressive 23 goals. Marine’s Connor Thompson is unlikely to feature this weekend due to illness but defender Matt Williams is expected to resume duties at the heart of the Marine defence after being withdrawn in the second half with an ankle issue in last Saturday’s win over Beaconsfield. Josh Hill will also line up once more in goal after playing his first game last week after a long injury lay off.